Justin Dugan from AmericanMuscle.com got a tour of how these mean motors are assembled. Performance Assembly Solutions really has taken out the human error aspect of putting a motor together. 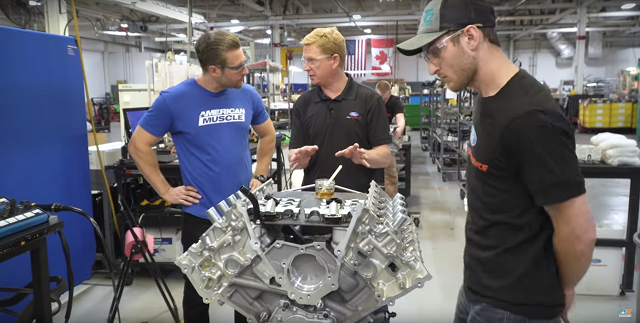 “This isn’t the average engine that’s built in somebody’s garage, it goes through a gamut of inspection and assembly quality steps,” says Ron Ewert, Ford Performance Engine Engineer.